Young people's voices. Young people's stories. This is YOUR space to have a say about the issues in your life that can make school hard and the support that helps. Watch this film by Fixers of disabled young people talking about the ups and downs of school and college and how being part of a youth group helped them find pals. 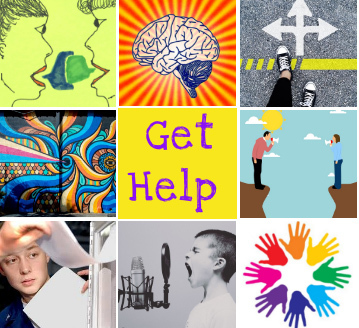 If you’ve got a disability and feel like you can’t properly access what you need to help you learn at school, here are 5 ways that CALL Scotland can help you…. Did you know that about 1 in 50 people has a learning disability? Find out about support and how you can campaign for change. Reach is Enquire’s service for young people. Enquire can help you understand your rights to extra support in school. We are funded by the Scottish Government and managed by Children in Scotland. © Copyright 2016 Enquire. This site uses some Creative Commons images.